We received an ice cream machine from my thoughtful mom one year as a gift and we finally figured out how to make a homemade version (instead of depending on the packets of powder that came with the machine). It was so easy! 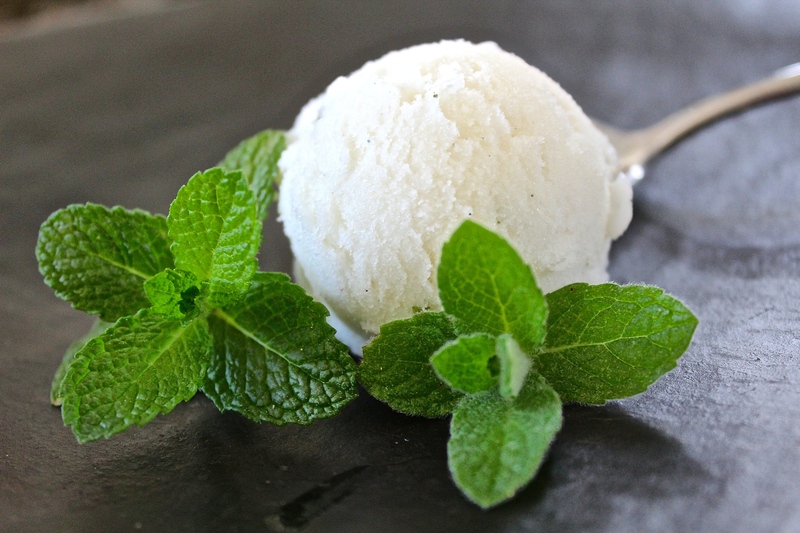 We started out making a vanilla bean ice milk, but added a handful of fresh mint leaves and the result was delicious. Perfect for 75 degrees and sunny – the California coast is hot today! But we are staying cool. Combine ingredients in a bowl and mix until sugar dissolves. Pour into your ice cream machine and follow the instructions. On day 38 of this 365 day project, I ate my daily five (including a really tasty butternut squash and kale hash – want the recipe?). Did you enjoy yours?